Most of us are familiar with the most popular and readily available edible mushrooms because we purchase them from the super market. You may not go out foraging for mushrooms, but many people do collect, identify and eat wild mushrooms, an activity that can prove to be deadly. Therefore, only a person who is extremely knowledgeable and has been trained in the identification of mushrooms should pick and consume wild mushrooms–due to the number of poisonous species. The difference between edible and non-edible mushrooms is the toxins that are present in the non-edible or poisonous mushrooms. The fungi produce these toxins naturally, and the toxins that are present in a poisonous mushroom cannot be removed or made non-toxic by any process, including freezing, cooking, canning or any other process–these toxins are inherent to the mushroom. Mushroom toxins can be divided into four specific categories. Protoplasmic toxins/poisons destroy cells, and eventually lead to organ failure. Neurotoxins are compounds that cause various neurological symptoms like excessive sweating, convulsions, hallucinations, coma, depression and a spastic colon. The third category, gastrointestinal irritants, produce nausea, vomiting, diarrhea and abdominal cramps. Disulfiram-like toxins only produce symptoms if alcohol is consumed (within a 72-hour window after consuming the mushroom); the person will experience an acute toxic syndrome, which is short-lived. People can have different reactions to the foods they eat, and this holds true when consuming mushrooms. What is “edible” for some may not be “edible” for everyone. There are approximately 250 North American edible species of mushrooms. These include Agaricus arvensis or horse mushroom, Agaricus campestris or field mushroom, Boletus badius or bay bolete, Boletus edulis or penny bun, Calocybe gambosum or St. George’s mushroom, and Coprinus comatus or shaggy ink cap, to name a few. Of the 10,000 North American species of mushrooms, 250 are edible and approximately 250 are poisonous, leaving an extremely large number of species that we know little about (edible or non-edible). 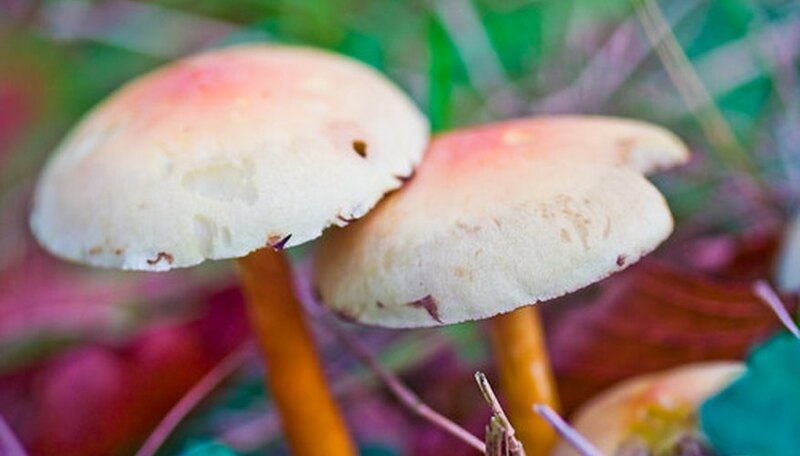 Poisonous mushrooms, if ingested, can cause death within three to six days, which is why it is extremely important to seek treatment immediately. Symptoms are breathing problems, dizziness, vomiting, diarrhea and dehydration. Some poisonous species are Amanita phalloides or death cap mushroom, Amanita virosa or the destroying angel, Amanita muscaria or the fly Agaric, and Cortinarius rubellus. To avoid poisoning you must be extremely knowledgeable in mushroom identification when collecting mushrooms, as there is no simple cut-and-dry method, or list of identifiable characteristics between an edible mushroom and a poisonous mushroom. If you do collect mushrooms, never mix the edible mushrooms with those that are non-edible, and only eat the edible mushrooms that are not damaged and are in good condition. Always refrigerate your edible mushrooms, and remember the number one rule: if you are in doubt about whether a mushroom is edible or non-edible, discard it.